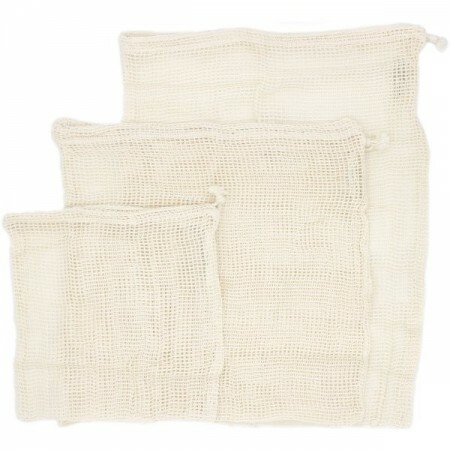 Three 100% organic cotton mesh reusable produce bags in small, medium and large size with drawstring. Mesh makes it see through so easy to see produce inside at checkout. Replace single use plastic bags. Washable, reusable, sustainable shopping. Suits many other plastic free storage uses for home and travel. 3 pack. 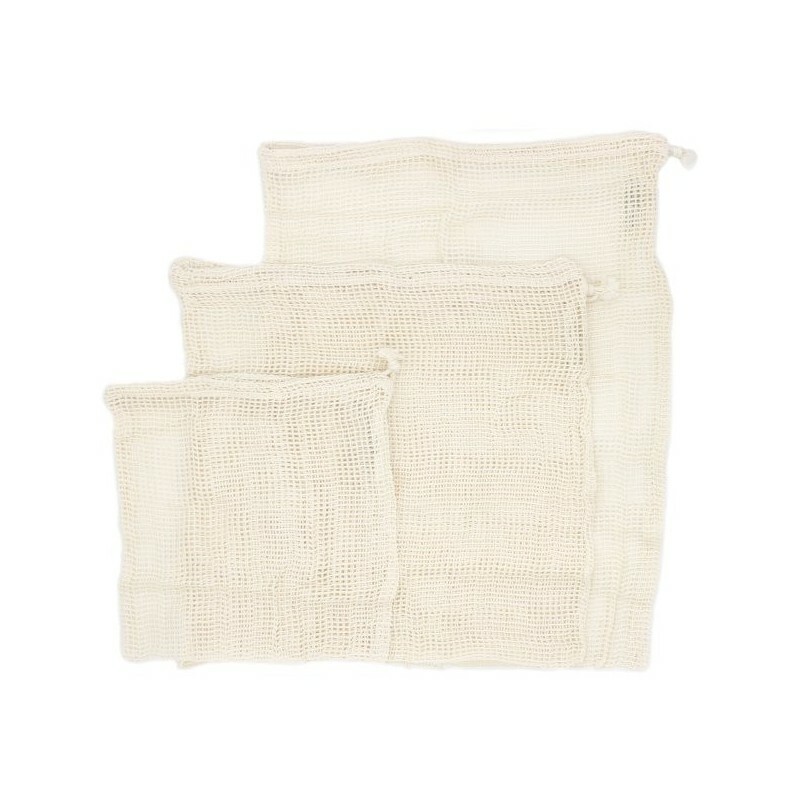 100% organic cotton mesh produce bags for collecting, carrying and storing produce. Keeps produce fresher for longer. 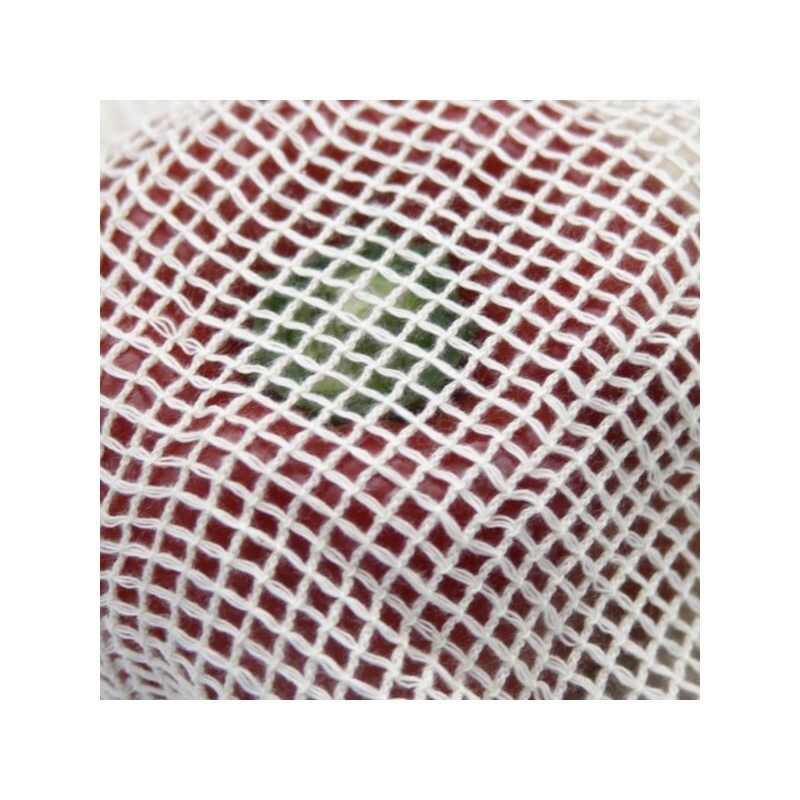 Mesh bags allow produce to 'breath' and have a longer life in the fridge. 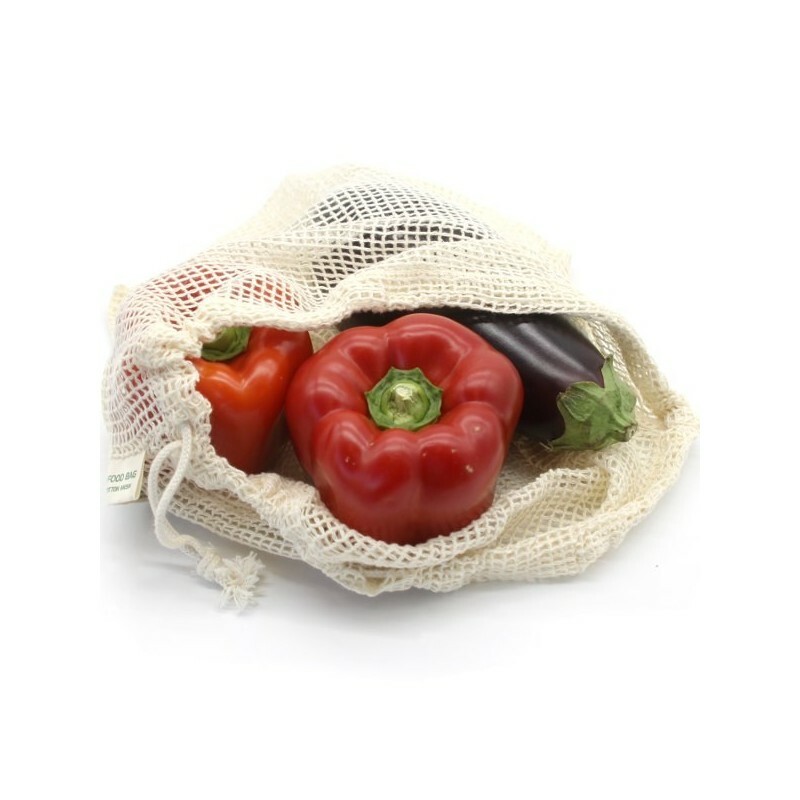 We love these Organic Mesh Produce Bags! They are ideal for fresh produce shopping at the supermarket and they are a great substitute for the plastic bags provided. I also use them to store bread in the freezer as I do not like my produce to be stored in plastic. We keep some in the car with our shopping bags and the rest at home. I definitely recommend this product! The different sizes are really convenient. The fabric is also nice and stretchy which is great when packing it full of potatoes.